Limitations offer the biggest challenges to us, but at the same time they are the best boosters of creativity and inspiration. 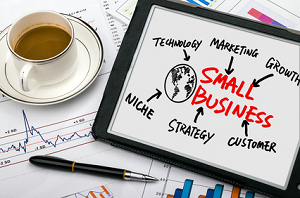 We all know that a distinguishing feature of almost every small business is their limited resources. There are not enough people, not enough budget to implement great ideas and purchase professional customer service tools. How to function well under limitations? The key is to transform your customer service so that all existing resources are used with maximum efficiency. This will require some thinking and creativity from you. Every company will for sure have their own approach to this and will develop unique methods of overcoming the problem of limited resources. Below are my 5 tips, which I hope will get you started on creating your own plan of transformation. A small biz simply cannot afford spreading themselves too thin. Choose the cheapest and the most efficient customer service channel, considering the nature of your business, and try to direct the majority of your customer service requests into that channel. Live chat is an ideal option for many small business companies, due to low cost and real-time interaction with clients. However, some of you will bet on phone support, and for others the cheapest option of email support will work well. Whichever channel you choose, make sure it is always attended at the hours specified. If possible, extend the support hours for your preferred channel to the maximum, even if you cannot provide 24/7 support. Educate your customers that this is your preferred channel and encourage them to contact you through it to mimimize interactions through other higher cost channels. People are your best investment. Trust in your employees. Create a joyous work space for them and you will see that their responsibility and creativity will grow. As a result, they will need less and less supervision, which will reduce your costs. You will spend less on hiring additional staff and monitoring tools to keep an eye on your workers. Happier employees will make your customers happy. Take care of your people. Make them on self-start and they will make sure your business is running smooth and effective. Customers love personalized service. To get personal you need to be a little more proactive and attentive. Observe what data you collect about your customers through your website, through surveys you may be running, social media and support channels you are using. Revise that data. Are you actively using all the information that you have collected, or most of it stays in the database untouched? Focus on what details you really need to know to personalize your communication with clients. Get creative about how you can get that data. Without being too intrusive, use powerful monitoring tools which give you some information without active engagement on the part of the customer. Make use of the opportunities when the customer is reaching out to you. Ask them a few additional questions, thank them for their time. Use these details to provide better service to them and next time they will be happy to give you more information about themselves. The more you pinpoint your approach to providing personalized service, the more customers will be served well at the minimal cost. Depending on which channel you choose to be your primary contact, carefully examine the software options available in the market to support that channel. Make sure it is not overloaded with unnecessary features for which you are going to pay, but which you are not going to use. Select a simple yet efficient tool. Simple interface will reduce costs that you may need to spend in training your employees to use the tool. It will also help the support agents to perform the most important tasks fast and reduce the time of interactions. At the same time, ensure that the software you choose has the necessary features and allows you to collect and pass to support operators the necessary information about customers. This will help with providing personalized service, the importance of which we discussed above. There is one misconception about customer service which is common to many new companies. They often think that the more and the longer they engage with the customer, the better it is for their business. They think, if we make the interaction pleasant, if our agents are polite and professional, the customers will enjoy it. It is not really so. From my experience in customer support, I can say that no matter how good you are, customers will always appreciate if you respect their time and cut the interaction short. After all, they are contacting customer service to get a problem solved, and they have a life to live and a business to run. So, from one side, minimizing the duration of support interactions will make your customers happy. From another side, it will also save the time and effort of your support agents and your company on the whole. The shorter the interaction, the more service requests can be handled by one person, the less people and resources you will need to employ in customer service. Of course, cutting it short should go hand in hand with maintaining high quality of service. Reducing the time of interaction takes a high level of professionalism on the part of the service agent, their ability to clearly understand the request, predict customer questions and lead the conversation. Here good training and the necessary level of freedom in making decisions will be necessary in order for the agents to grow in their professionalism. These were my 5 ideas on how you can transform your customer service considering the limitations of a small business. How is your company facing the challenges of limited resources and keeping your customers satisfied? Please feel free to share your thoughts and ideas in the comments. This entry was posted in Articles, Best Practice, Tips and Tricks and tagged customer service at a small biz, customer service efficiency, how to transform customer service, small biz customer service, small biz tips for customer service. Bookmark the permalink. Great tips, Maria. I’ve found #2 to be the most difficult for small businesses. Owners find it hard to let go of control and trust in their employees. They often create an environment where goals, standards, and priorities are a moving target. The business owners that can get beyond this and let their team do great work really can create a positive atmosphere. I agree with your point, Jeff. It is really not easy to maintain our trust when we see how many times it is abused in the world. However, the law of attraction is still at works. With trust we attract trust, and with mistrust we attract mistrust and dishonesty. So I believe, if we try to overcome our own mistrust and fear of our trust being abused, we will be able to attract more and more reliable and honest people into our team. At least, this is the experience of our company. I am not saying, of course, that if you give full trust to your employees, it will never be abused, but such people, miraculously, are quickly discovered, without any micromanagement over them. I would say, it is a self-cleaning process. In this environment of freedom and trust, people feel more responsible for what they do and their creativity grows. So indeed, this is somewhat difficult to give more freedom to your employees and trust in them, but the payout is great. It is for those, who want to build a successful and long lasting business, where how reliable your people are becomes the most important asset of your company. I’m finding that using the newer tools for the Net Promoter System work well for Small Business, as long as the” inner loop” is implemented for feedback to reach the closest contact point to the Customer. We see first hand the lift it creates in employees when positive comments about their customer service are recognised. It’s a low cost way that SMB can have the benefits of NPS enjoyed by corporates for years, as long as they also avoid the mistake of linking it to compensation. I recommend delighted.com for NPS in small business. Good article thanks. Good point, Peter. Thank you. I didn’t mention it, but indeed, it is very important for agents to see customers’ feedback on their work. This motivates them for better performance and it helps in creating a positive environment when their efforts are recognized and appreciated by customers. Thank you for good reference also. I am starting new business and advertising on facebook but i did not get proper response to getting achieve sales, please suggest what to do ? Hello Asif. We are not a social media marketing company, so we cannot advise you on what methods you could try with your business. You may consider hiring a social media sales specialist to get assistance with your Facebook marketing campaign.